Grandparents rights to custody and visitation is an emotionally charged issue. Florida is one of the most restrictive states when it comes to granting grandparents these rights. This seems to be a hard line against grandparents, especially in a state with a vast and vibrant senior population. The reasoning behind the law is meant to uphold the parents’ constitutional right to rear their children as they see fit, without interference. Florida law allows limited rights to grandparents who wish to petition the courts for custody and visitation (timesharing). If you are a grandparent with child custody or visitation goals or have questions about grandparent rights, we can help. At the Kramer Law Firm, we fight for the rights of grandparents who have been continuously active in their grandchildren’s lives and wish to preserve this important relationship. Call 855-Kramer-Now (855-572-6376) to discuss your rights as grandparents with the Kramer Law Firm today. We will help you understand the basis of the law whereby interference from a grandparent or other relative in a parent-child relationship can be detrimental. Parents have the legal right to prevent conflict that undermines their rights in raising their children, no matter how well intended the grandparent or other relative may be. Our attorneys know how important grandparents are in their grandchildren’s lives. For grandparents who have the best interests of their grandchildren in mind, we will serve as your most aggressive and diligent advocate. Grandparents can be the cornerstone of a family, especially in the lives of children whose families are in deep conflict. Grandparents are an important influence on their grandchildren and a tremendous help to the parents as well. 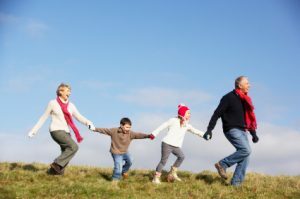 Does Florida Allow Grandparents Custody of Grandchildren? In certain situations judged to be in the best interests of the children, Florida courts will grant grandparents temporary custody of their grandchildren. Such cases include situations when the parent cannot provide proper care, or cases of parental child abuse, neglect or abandonment. Florida grandparents may not petition for permanent custody. Still, temporary custody is an excellent solution when problems in the child’s home exist. Family court judges are observant and perceptive when hearing the facts of a case for temporary custody of grandchildren. A skilled family law attorney will demonstrate to the judge that the grandparents’ home is the best option for grandchildren in need of alternative living arrangements. In certain cases, temporary custody may also develop into permanent legal guardianship. Some grandparents may have been granted custody or visitation in another state. If you have been granted these rights out of state and have moved to Florida, the Florida courts may recognize and enforce the court order of the other state. If you have been denied visitation rights as a grandparent, you have the right to bring a lawsuit to enforce reasonable visitation over the parent’s opposition. Reasonable visitation may be unsupervised and, where appropriate, may be frequent and continuing. A successful legal strategy will depend on the specific facts and circumstances of your case. In all cases, the action must be done in the best interest of the children; otherwise the Florida courts will dismiss the case. Your rights as a grandparent are profoundly important, and this area of law is complex. Florida laws regarding a grandparent’s rights to visitation are constantly changing. When choosing a lawyer, be sure that lawyer is aware of previous decisions by Florida courts that might affect your case. Be sure that lawyer has a full understanding of family dynamics, and the laws that regulate them.